Recreational skiing is an awesome activity to do in the winter that can be done by a broad spectrum of people. But if you're overweight and are planning your first ski trip, then odds are you've got some questions. Luckily, you've come to the right place. This guide was created to answer all the common questions about skiing while overweight and give some practical tips for staying safe even if you're carrying around a few extra pounds. Do Ski Lifts Have Weight Limits? Do Skis Have Weight Limits? Can You Still Ski While Being Overweight? For the sake of writing this article, I took it upon myself to call up three different ski resorts to check if there were individual weight limits for their chair lifts. On every phone call, the answer was no -- there is no individual weight limit. Because ski lifts are usually designed to hold 2-8 people with ease, it's not surprising that this was the case. It may be worth checking with whichever ski resort you're going to, but if you're not too heavy to even entertain the idea of going skiing, it's unlikely that you'll run into an issue at the lifts. Generally speaking, most ski sizing charts stop at users who are 220 pounds or above. This doesn't mean that people who weigh more than 220 cannot ski, but it does mean that you should call ahead to your ski rental shop if you are far off from that number to check if they can accommodate you. The short answer is yes, but it will depend on how overweight you are, where you carry it, and how well you move at your given size. 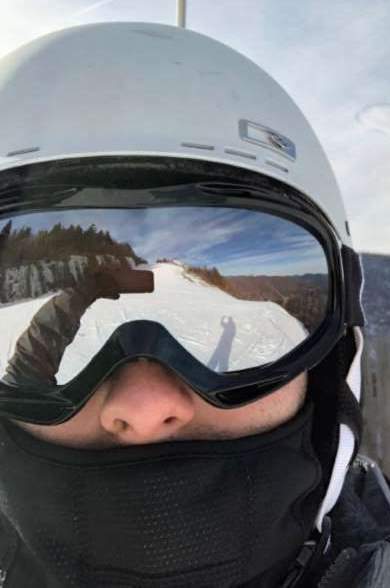 While you certainly don't need to be in great shape to be a decent recreational skier, being overweight or severely obese isn't going to make it any easier. That being said, the obvious and cliche advice is to shed the pounds before heading out to the mountains. But odds are, you're here for practical advice and not the same lecture that everyone else might be giving you, so let's get to it. If you don't already own your own equipment, it's highly advised that you rent it before heading out to the mountain. This will give you ample time to try everything on and give you the opportunity to get fitted by an expert rather than trying to rush things at the resort's ski shop. One of the main areas you should focus on are your boots. Because ski boots are already supposed to be snug, many of the regular sized products won't fit comfortably on someone with bigger calves and ankles. That's why it's critical that you rent boots that are properly sized for you. When you ski, your boots have an impact on more than just the comfort of your feet. They impact pretty much everything from your joints, balance, and circulation. An ill-footing boot can be the difference between a successful first day on the slopes and a miserable one. Go to a reputable ski shop near you and be sure to check the reviews. Make sure that they have staff members that are going to take the time to make sure you can rent boots that fit properly and not just throw you out with the first thing that you put your foot into. Many ski resorts will rush this process, as the line can get long and hectic. The first thing to look at when choosing the right ski size is your weight. Generally speaking, the more you weigh, the longer the skis you should get. If you're a beginner skier, professionals will usually recommend that you take a few inches off the ski size that you determined strictly by your weight. If you're more advanced, they might add a few inches. You want to make sure you have a ski that's going to be able to handle the additional force and pressure being put upon it. That's why it is, again, extremely important to to visit a reputable ski shop if you're carrying around a lot of extra pounds. They will most likely stock things that the rental shops inside the resort do not. Whether you're overweight or not, one of the hardest parts about skiing is getting up once you've fallen down. It's mostly a matter of technique, but being overweight might make the techniques a bit harder to execute. Even if you learn during your lesson (which you should take if it's your first time), you might not have enough time to practice. If you've taken the advice from tip #1 and rented your skis beforehand, you should have some time to find a soft and slanted place to practice before heading out. At the very least, you should learn about some of the techniques for getting up so you have them in the back of your mind when it's time to use them. If you've fallen in an area that's somewhat vertical, it's quite a bit easier to get up without having to step out of your skis. First, uncross your skis and position them to be perpendicular to the downward plane of the mountain. In other words, the sides of your skis should be positioned so that you won't slide down as you get up (see video above). Then, you can either push up with your poles or your arms to get your center of gravity as far over the skis as possible. From there, you can stand up as if you were getting out of a chair. If all else fails, you can un-clip your skis and get up as normal, but be very careful you're not in a steep area. Not having your skis attached on an icy and steep spot could mean you falling down the mountain. If you fall on flat terrain, you can't leverage the angle of the mountain to get yourself back to center. The good news is that it's a safe spot to take off your skis as there's no risk of tumbling down. Once you un-clip the back of your skis, you should have no trouble standing up because you can use whatever position you're used to. You can even have someone help by pulling you up. Just like any sport, the more you do it, the easier it gets. In fact, it's quite common to see overweight men and women in their 50's and 60's skiing on difficult black diamond or even double black diamond trails. They've been skiing their entire life and have good balance and efficient technique. Now this isn't something you'll be able to achieve your first time out, but it's something that is possible. Yes, it will depend on how big you are -- don't expect to do this at just any size. But just know that skiing for recreation can be light and low impact once you get the hang of it. While it's hard to find any good examples of overweight people skiing, the video below goes to prove the point thousands of times over. If a 300-pound man can do a cart-wheel and a back flip, then it is possible for an overweight person to ski recreationally. You won't be the next Olympic gold medalist, but by focusing on technique and not pushing past your limits, you can still enjoy a day out on the mountains and tackle some difficult trails once you're ready. Skiing can be tough sport for the knees, but if you're overweight, it can be even tougher. Even with proper technique, pressure and force to the knees is unavoidable. With extra weight, this pressure and force is magnified. If you start feeling knee pain, don't be afraid to take a break or stop for the day. One instance of pushing too far past your limits can lead to a an injury which could take months or longer to recover from. It is also important to know which types of positions put the most tension on the knee ligaments. Combined with gravity, added weight can put a skier into these positions much quicker and with more force, leading to common ski injuries like ACL tears. The above video does a great job explaining some things to be mindful of if you want to protect your knees, and I highly recommend that you watch it, but if you're in a hurry, here are a few tips that you can use to protect the ligaments in your knees from getting pulled the wrong way. When you're headed down the mountain, it will be tempting and natural to try to reach back and use your arms for balance, but you want to avoid putting your arm so far back that it drags your body backwards. If this occurs, it's easy for one of your knees to bend the wrong way. Learning to manage your center of gravity is one of the key components of being a better skier. If you fall headed downhill, digging in with your downhill ski is going to be your first instinct, but this can place a lot of pressure on the knee. Added weight in this situation can make injury more likely. If there's no immediate danger (like a tree or other obstacle), you can let yourself slide a bit and come to a natural stop rather than digging in so hard from the floor trying to stop yourself. ​While the video above instructs you to keep your skis together at all times, that's not going to be easy if you're a beginner. However, keeping your skis together with your knees flexed when you fall can go a long way to prevent one knee from twisting in the wrong direction. This will make your skis more like a snowboard in the sense that your body will twist as a unit rather than in two different directions. Keeping your hands over your ski tips once you're on the ground can also help reduce how much your body rotates as a whole, which can also go a long way to protect your knees. Statistically, snowboarders have less knee injuries than skiers, and these mechanics explain why. *There are instances where you'll want to keep your hands in close to your body was detailed in the video above. The point is that you don't want your hands and arms to be the cause of your body twisting haphazardly in different directions. If you truly want to master ski techniques, taking lessons is really important. Yes, there are tons of great resources online, but only a good instructor can watch you in person and correct what you're doing wrong. A few slight tweaks can make the difference between skiing properly and efficiently versus falling and wearing yourself out. Additionally, reading about proper ways to prevent injuries online can only go so far. It's kind of like reading medical advice -- it can only help up to a point, and it's easy to get lead in the wrong direction. It's also easy to misinterpret an online instructor and apply their advice the wrong way. A good ski instructor in-person will be able to tell quickly if you're putting your knees -- or any other parts of your body -- in harm's way. If you're insecure, you can always opt for a private lesson. Sure, they're a bit more expensive, but the personalized attention can go a long way. Just because you're overweight, it doesn't mean that you can't enjoy skiing. In fact, with patience and persistence, odds are you can probably become pretty good. Also remember, that there are plenty of overweight athletes doing sports that are far more intense than casual skiing, such as boxer Eric "Butterbean" Esch and and MMA Fighter Roy Nelson. Finally, the point of this article isn't to encourage an unhealthy lifestyle or say that losing weight wouldn't be better for an individual's overall health; you just don't necessarily have to wait until you hit your weight loss goals to enjoy skiing at a recreational level. But if you are severely overweight, you should probably speak with a medical professional first. Obviously, I'm not a doctor nor am I familiar with your particular situation -- I'm just a guy who likes skiing and has seen plenty of overweight people do it successfully.